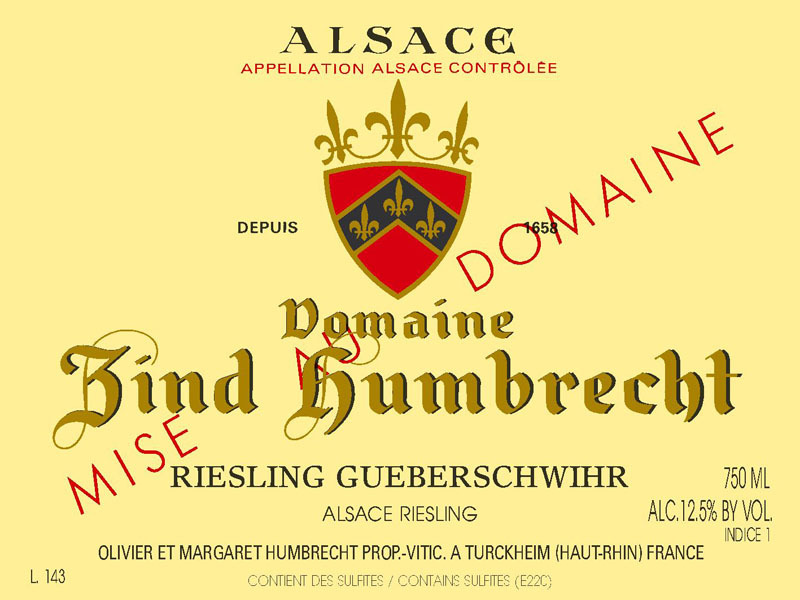 This is probably the last time we will label this wine as ‘Gueberschwihr’. Not because it is almost impossible to write for the non-residents, but because we were the only one to use this village designation and under Alsace new wine laws, we won’t be allowed to continue. I am not debating whether it is fair or not, but it obliges us to use the designation ‘Calcaire’ for any future vintage (Calcaire means limestone). If 2010 is a high acidity vintage, it is probably in limestone soils where the acidity is the sharpest and makes the most vivacious styles. The grapes were very healthy and with the very small crop, they produced an intense wine with an enormous ageing potential after a very long fermentation. 3/2012: the wine is still on its lees so the nose is very mineral. A little aeration will help the development of fruity aromas (citrus) and show more the potential of this wine. The palate starts very sharp, but the light sweetness eventually helps to hide the crisp structure and makes the finish very interesting and almost smooth. The balance of acidity also brings a mouthwatering saltiness.